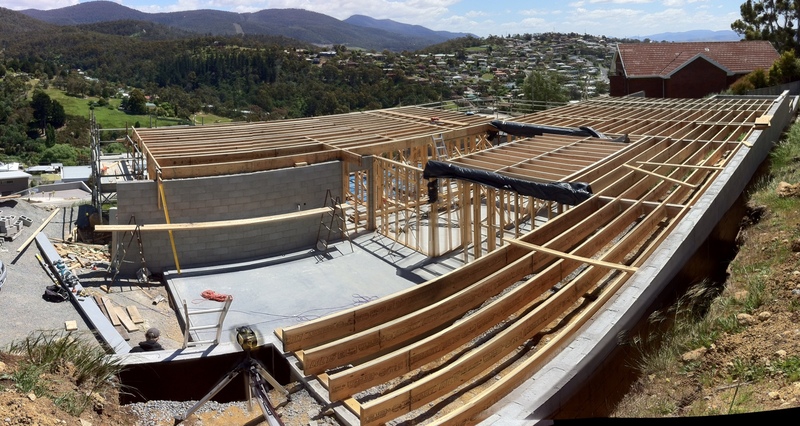 Chuq and Emma's Blog: House update - slab and building upwards! 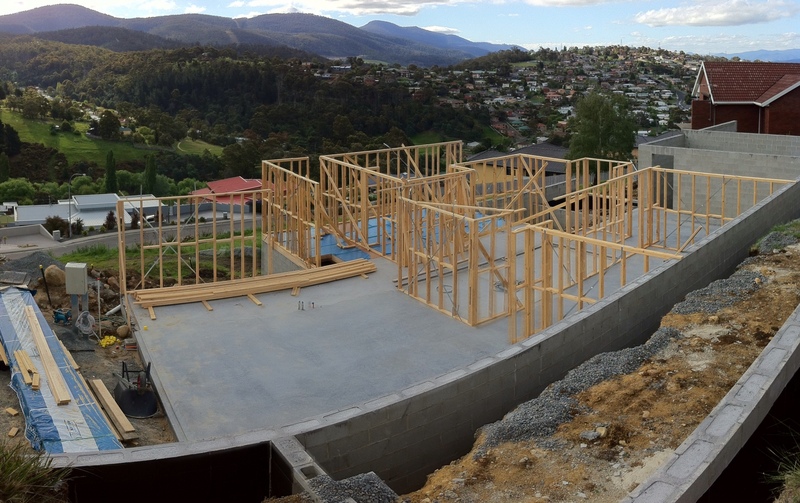 Time for a series of house building updates ... When I last posted about the house, I think it was still at excavation stage... well, it is well past that, but let's tackle it a step at a time! 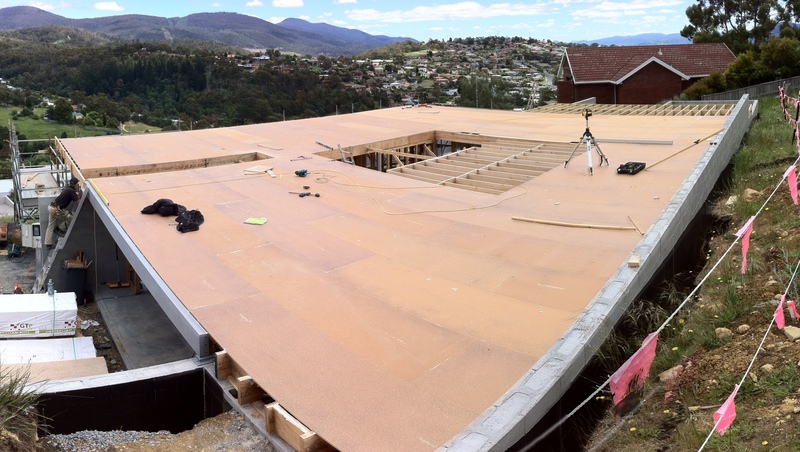 The slab was poured on 14th October! (view from southeast and northeast, respectively) It is quite easy to recognise which rooms are where from the slab. The courtyard sticks out in the middle - notice it slopes towards the drain in the centre slightly, and (less obviously) there is an overflow drain which goes from the northwest corner to the under deck area only a couple of metres away. The only area which may not be obvious is the guest room and bathroom, which are on a floating floor extending from the side of the slab (the "empty box" on the west side). However, this photo only five days later gives it away! Nothing too surprising here - although one change was the guest bath window, which was changed from facing the neighbours block, to face the mountain (through the undercroft area). In the photo above, you may also notice the doorway in the block wall at the back. 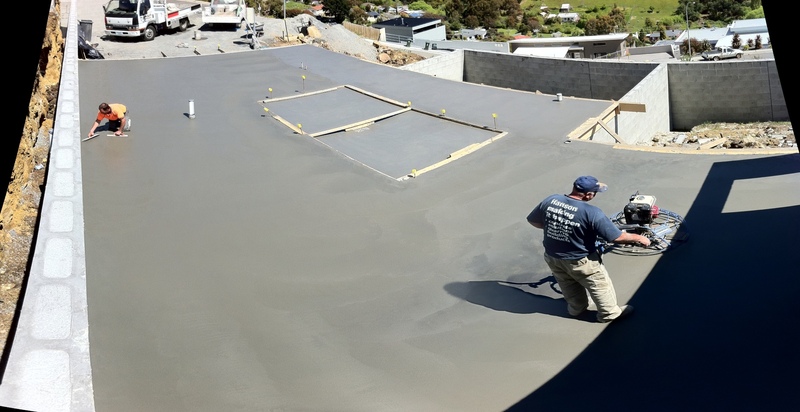 This provides access to the under-deck area with the water tank. The door was originally going to be in the western wall (from the backyard) but it was easier to do it this way as the level of the slab was closer. We decided to put a treated pine deck in there to give it more of a level floor so it can be used as a shed type area - technically outdoors, yet secure. The hot water cylinder has also been relocated here from the garage. I expect it will become a dog sleeping area as well, especially in the colder months! 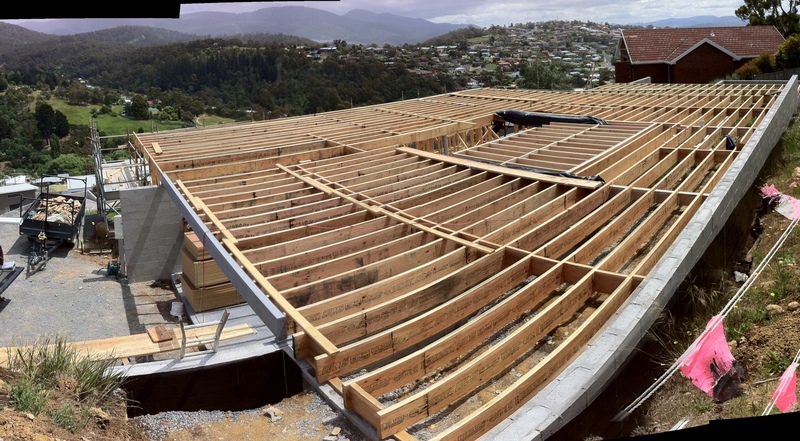 Notice the joists in the middle which are perpendicular to the rest - this is the internal deck area. They are aligned the other way so that rain run-off from the deck will fall into the courtyard area. Note both decks and the stairway sticking out here! 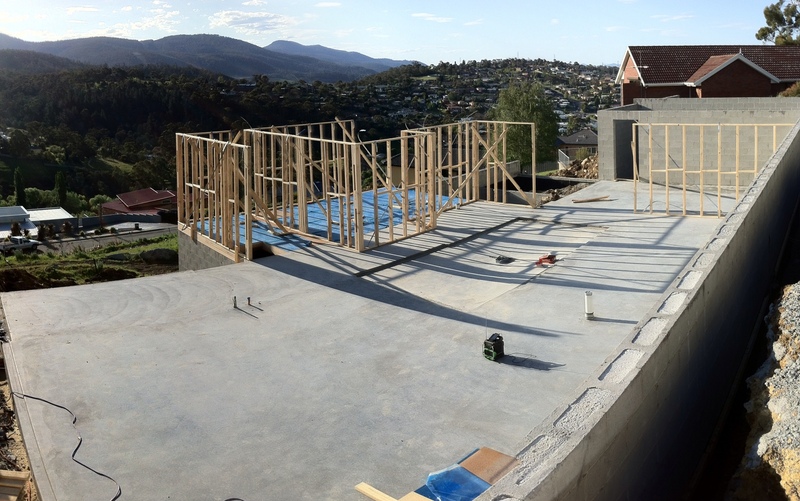 This entry was posted on October 4, 2009 at 12:14 pm, and is filed under building, frame, house, slab . Follow any responses to this post through RSS. You can leave a response, or trackback from your own site.